While winter can be rather dull and dingy, your website doesn't have to be! In our May newsletter, we're focusing on an awesome new template, and the ways you can use images on your website to increase conversions. 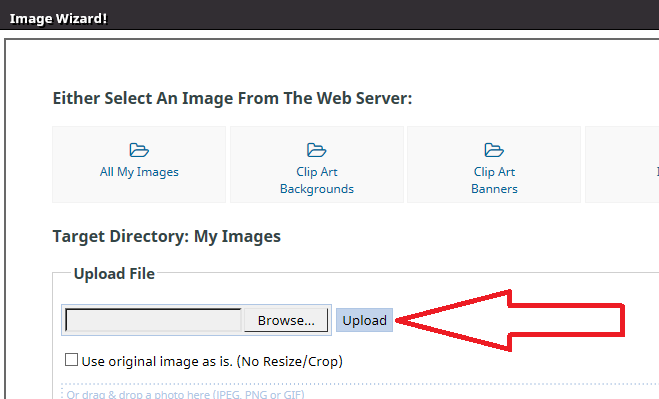 We're also going to explain how you can optimise your images and show you the different ways you can upload images to your site. Ventura - New Content Box Template! We're excited to introduce a brilliant new website template which will soon be available for you to use! Andrew from Fury Ltd, has been working on a great new template, Ventura, based on maximising our new Content Box editor. This template incorporates100% wide background image strips, with a mobile responsive drag and drop content editing feature over the top. 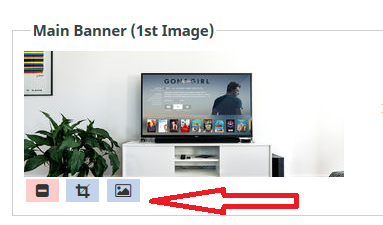 There's a re-positionable featured products area, and a new combined social icons with a shopping cart counter. The possibilities of home pages are now limitless! Below you'll see another screenshot of the Ventura template in action, demonstrating how a shopping catalogue might look on the same site. 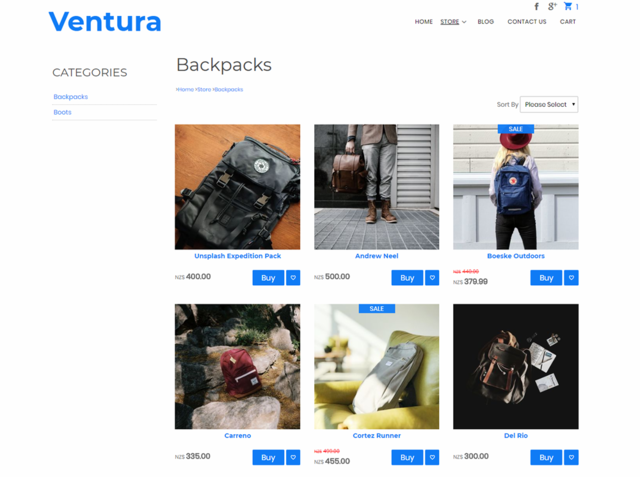 Stay tuned for updates on when you can try out the Ventura template on your website! The Ace Company website is a great example of a well branded and easy to navigate site. 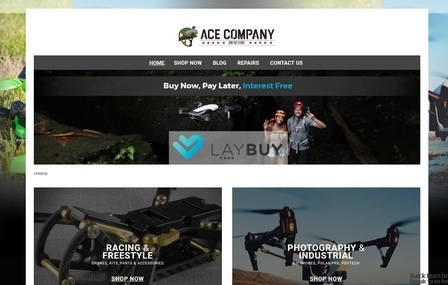 Selling drones and their components, it uses a range of images to not only promote their products, but to also creates an active and exciting feeling for visitors to experience. You can take a look at their site here. 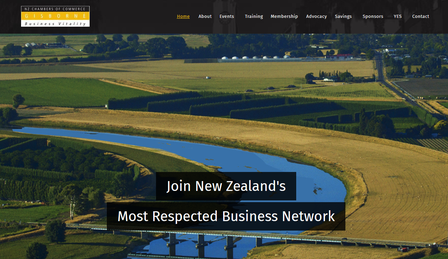 Reseller WebFoot was commissioned to create the Gisborne Chamber of Commerce website and together with Andrew's graphic design skills, they have designed an attractive and easy to navigate site. A key feature of this site is the home page's revolving photo banner which alternates images of local areas and people. Other pages are also easy view and the large static footer on each page quickly gives users access to contact details and single clicks to important pages. You can see this website here. Images are incredibly powerful tools to use on your website. For many businesses, our websites are the only way in which our clients or customers can learn who we are, what we can help them with and whether they'd like to do business with us. Consider emotions - use images to convey to visitors how they will feel upon buying and using your products or services. This can include photos of people using your products. Avoid overusing stock images - while some stock images are great, many aren't. The problem with using stock images are that they are not personalised to your business and they can be used by anyone. Try using professionally taken photos related to your business instead. Use large, clear images. Research has shown that larger images promote higher conversion rates. For tips on taking product photos, take a look at our article How Great Website Photography Can Raise Your Sales. Offer multiple product views - as your website is often all a customer has to make a decision about purchasing your product, you need to give them plenty of information. This includes showing your products at different angles, plus in use. the original size of the image you uploaded, which may be reduced depending on the template you are using and where the image is going. 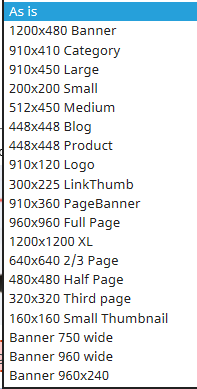 Dragging images from your computer into the open web browser you are using to work in your CMS. Our system will them automatically import these images. 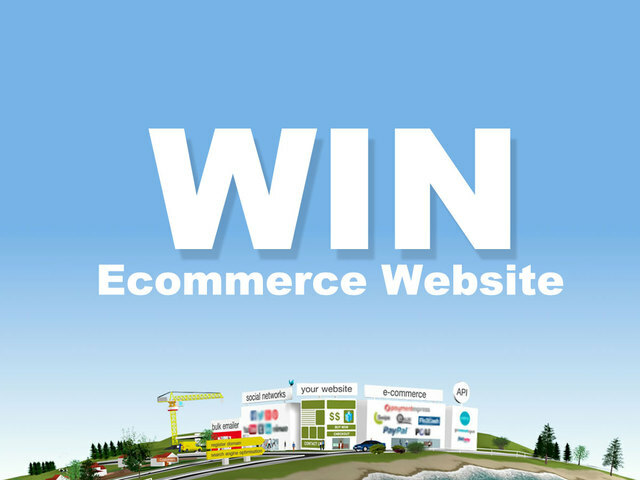 This can be done in different areas of your CMS such as with Galleries and Products. To be able to drag the image, you will need to have the file open where the image is saved and then click and hold on the image to bring it over to the text 'Or drag & drop a photo here (JPEG, PNG or GIF). From the 25 May 2018, Europe's General Data Protection Regulation or GDPR comes into force. It's aim is to improve the privacy of European citizens by requiring businesses who operate within Europe to protect the information they have of EU citizens. Due to rising concerns over the privacy of the EU's citizens online, the GPRD will replace the old Data Protection Collective. This is because the DPC was set in place before the internet became what it is today. The aim of the GDPR is to increase the security for the information about individual people which businesses within the EU hold. You (and your company) are subject to the GDPR if you store or process information about citizens of the EU within EU states, even if you do not have a physical presence within the EU. Take a read of our informative article Understanding the General Data Protection Regulation (GDPR) for details about how you can comply with the GDPR and Web Widget's interpretation of the GDPR. 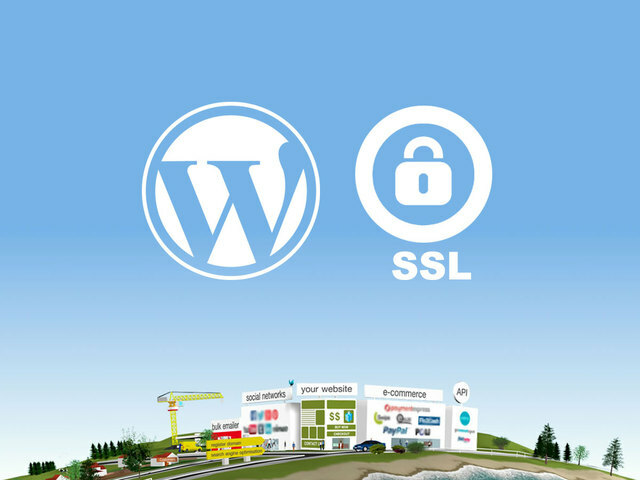 This is a must read for all website owners.